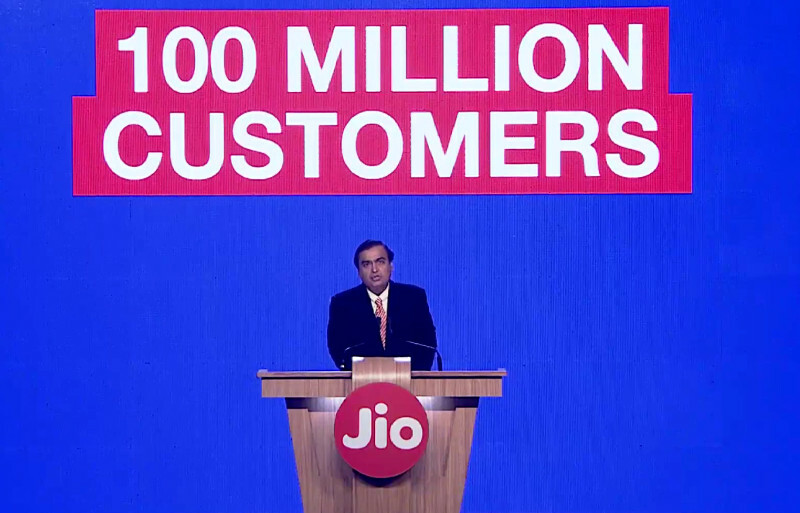 The CEO of Reliance and Jio, Mukesh Ambani, Chairman and Managing Director of Reliance Industries at the company’s special event today announced that Reliance Jio has crossed 100 million customers in 170 days of launch, adding 7 customers every second on average. It has 60,000 Jio employees and over 10 lakh Jio retail partners. Mukesh Ambani said that Jio customers used 200 crore minutes voice and video calls everyday and 100 crore data a month. Jio carries nearly 5.5 crore hours of video daily on its network. He said that Jio has two time more 4G base stations than all Indian operators combined. He also said that after the free Happy New Year offer ends on March 31st, voice calls, including roaming will remain free across India, as it had promised and the company will match the highest selling tariff of other operators and provide 20% more data than what other operators provide. 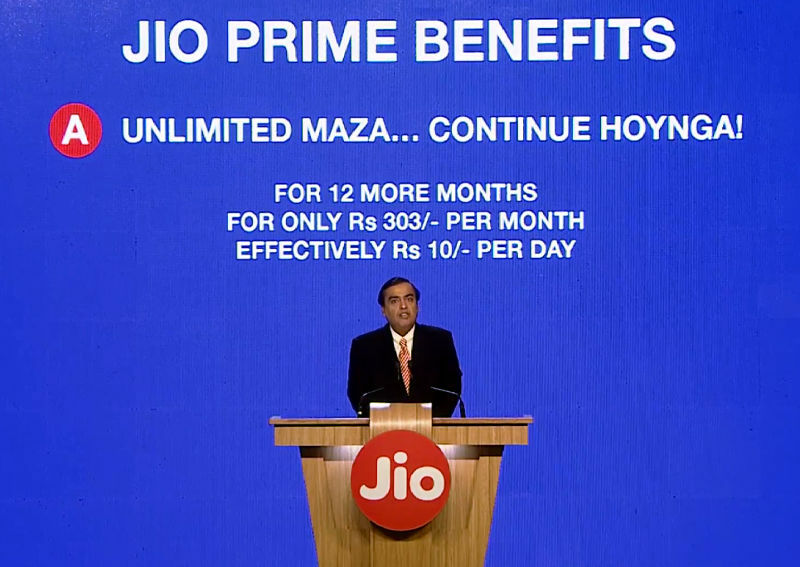 At the event he launched Jio Prime membership at a one-time payment of Rs. 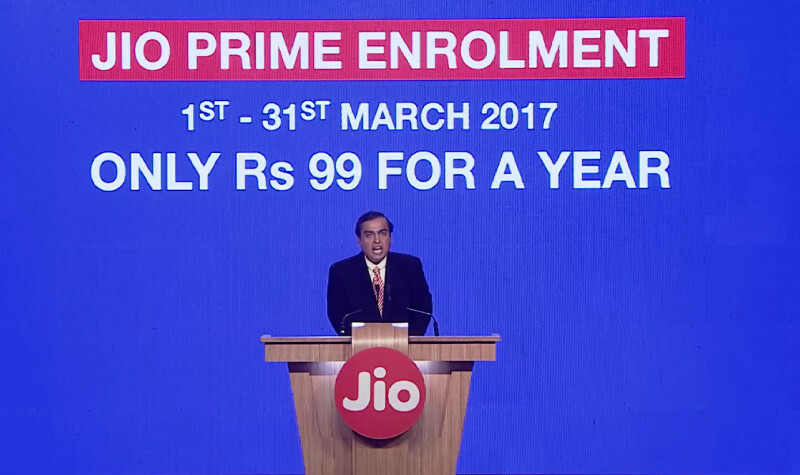 99 for a year that can be activated through MyJio app, Jio.com and retail store from 1st till 31st March. After activating the Jio Prime membership, customers can enjoy the benefits of the Happy New Year offer, including full bouquet of Jio’s media services worth Rs. 10,000 at an introductory price of Rs. 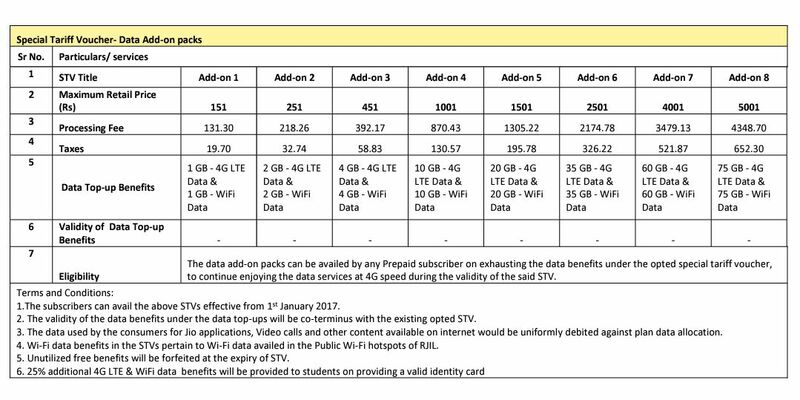 303 per month, effectively Rs 10/day for 12 more months or till 31st March 2018.